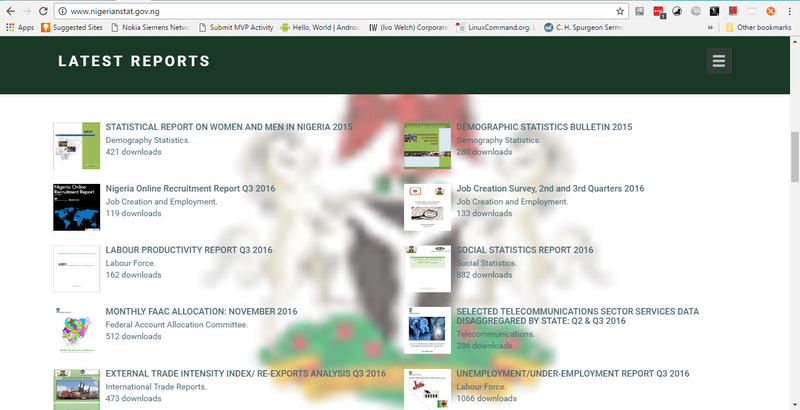 I spent a good part of yesterday downloading reports from the Nigerian Bureau of Statistics (NBS) website. Those guys are doing a very terrible job in formatting the report. They make it available in PDF when other countries provide you both CSV and Excel versions from as far back as 1940. I could only dig out a few years record from the website. I doubt even if the Statistician General can easily get insights and trends from those reports they publish. Maybe they have another in-house one that is more user friendly that they don't publish. So why was I downloading those reports? 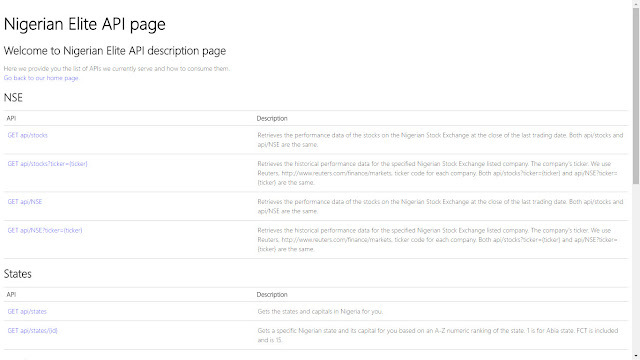 Well, as you might be aware in my Built Some APIs For Some Interesting Nigerian Data Use post, I am creating a databank of useful Nigerian data. So yesterday I shared with a Whatsapp Data Science group I am a member of about the progress I am making (you can check that progress out at Nigerian Elite API) and they all encouraged me to include a databank of the NBS reports data. I have started and will also keep you all updated on my progress, sharing with you the final outcome so you can benefit too. Also a big thanks to everyone who gave me suggestions of what more include in the data bank. I am still open to more suggestions.